We received a call from a family who desperately needed to surrender their Aussie/Boarder Collie mix. We did the typical run down of asking for some basic information and photos of the dog. One look at his mugshot and we said "yes, we will take him in!" 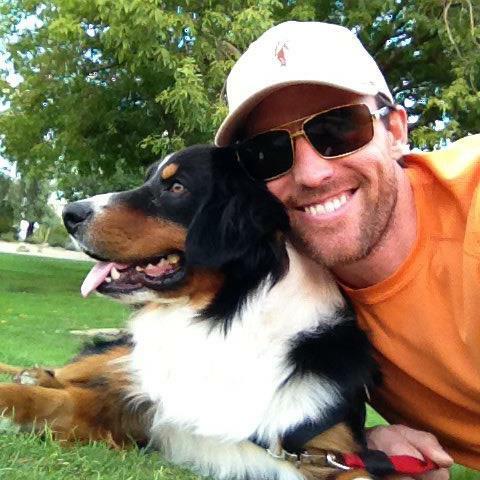 About a week after taking Max into our rescue, we realized good looks and good manners did not go hand in hand. While Max was responsive to basic obedience commands and proved to be smarter than the average dog, Max began to show signs of being “off”. Max began to lunge at people and other dogs for no known reason. His behavior was so unpredictable, that we were not sure what his trigger points were. 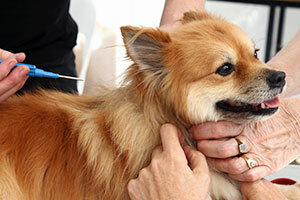 We quickly enrolled Max into a board and train program experienced with Aussies where they confirmed this behavior. Our not so little Lovebug Luna found herself discarded at a high kill shelter by her former owners when they decided to move but not take the "house" with them. Weighing in at 140 lbs, Luna is our biggest lovebug yet! Luna is an Old English Sheepdog and had been terribly neglected by her former family. We gave Luna a much needed grooming, began treatment on both eye and ear infections, and started her on a healthy diet along with some small walks to start shedding the extra 40 lbs of weight she has been carrying around. 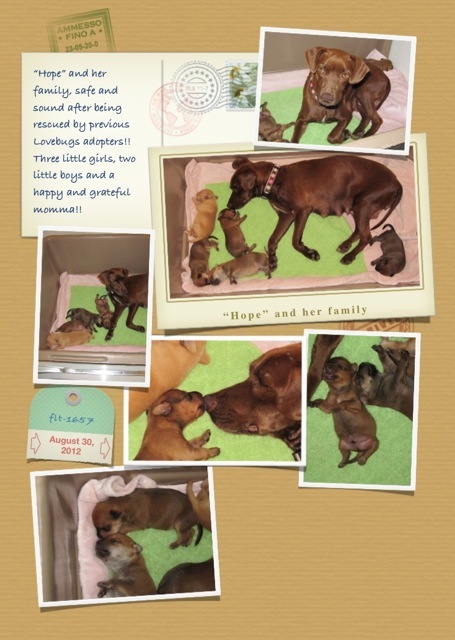 It wasn't long before Luna's family to be saw her on our facebook page and fell head over heels. 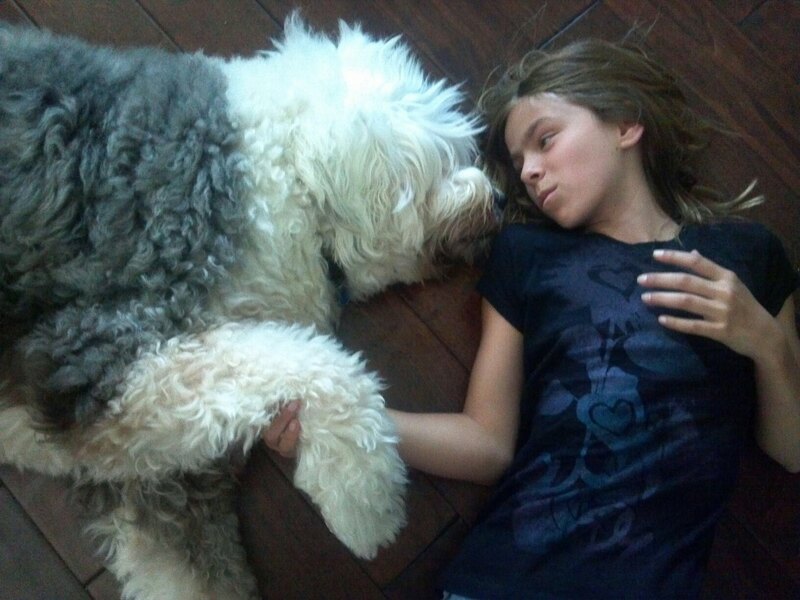 Luna's family had recently lost their beloved New Foundland and was ready to open their hearts and home to another furry giant. We couldn't have asked for a better match for Luna. Her family reports that she has melted their hearts! 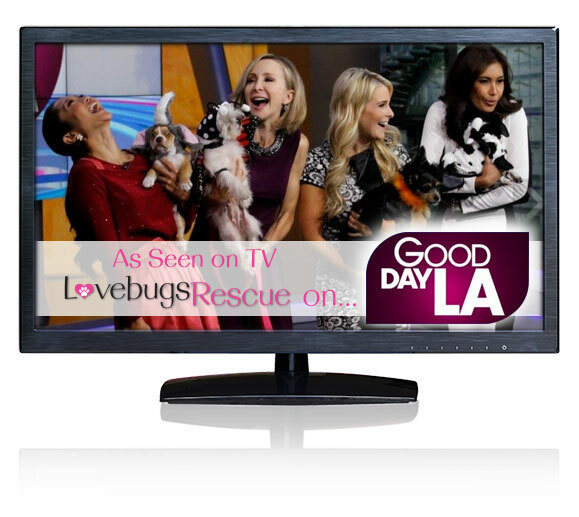 See Lovebugs On K-9 Corner All Month! 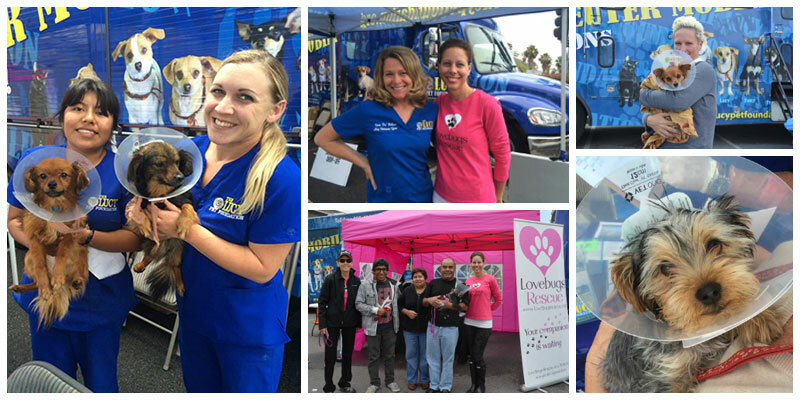 Over $18,000 Raised For Lovebugs At The Race For The Rescues OC! 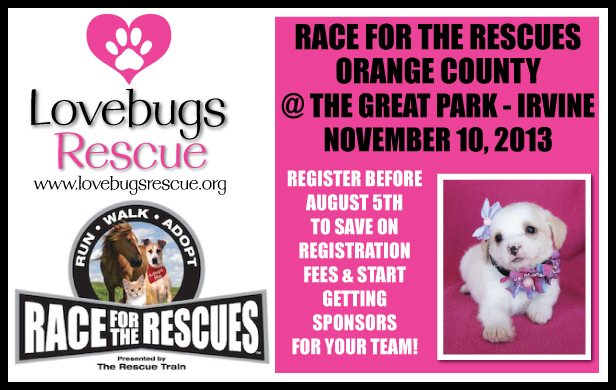 Team Lovebugs Rescue raised $18,161 and reached 73% of their goal of $25,000 for the OC Race for the Rescues. 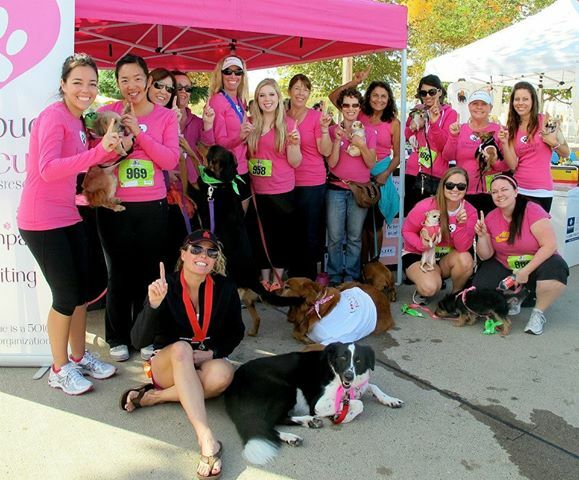 We were the NUMBER ONE team in the Orange County race! We are so appreciative of all our hard working volunteers who participated in this event and raised money for our cause. Thank you!!! Say Cheese!!! 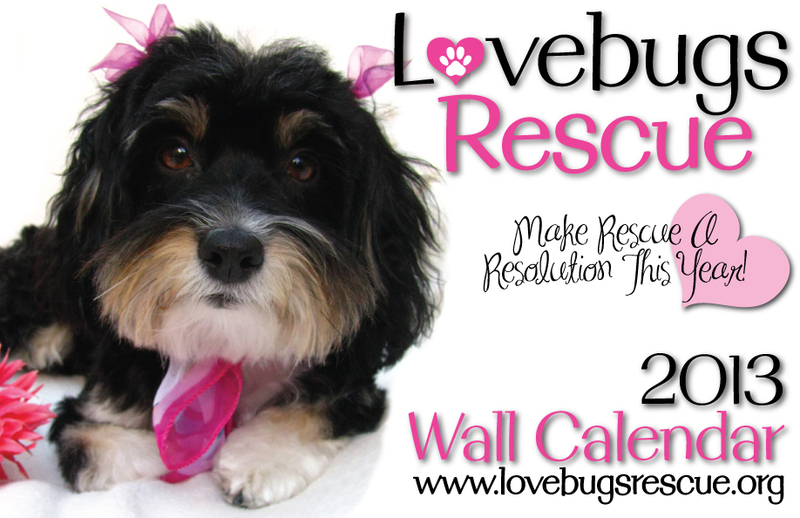 Pet Photo Shoot to Benefit Lovebugs Rescue. 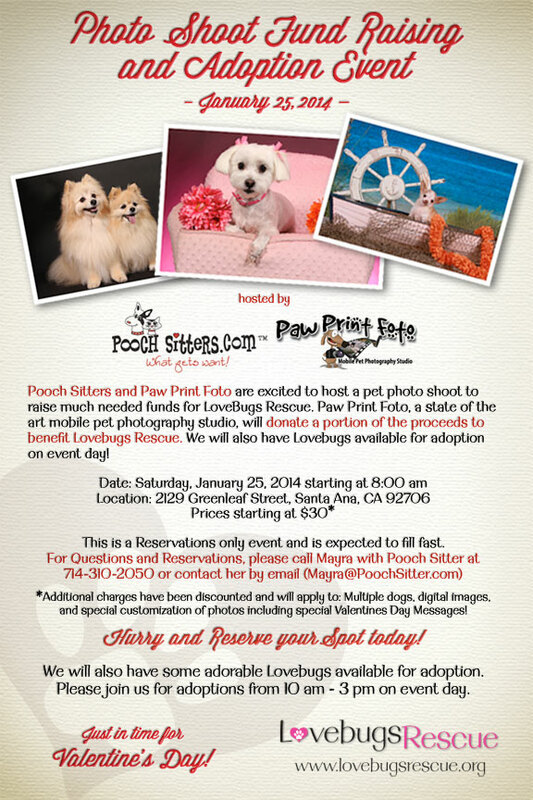 Join us on January 25, 2014 for a fun filled pet photo shoot with Paw Print Foto! 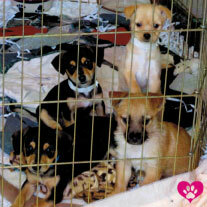 Please call Mayra with Pooch Sitter at 714-310-2050 or email mayra@poochsitter.com for a reservation. 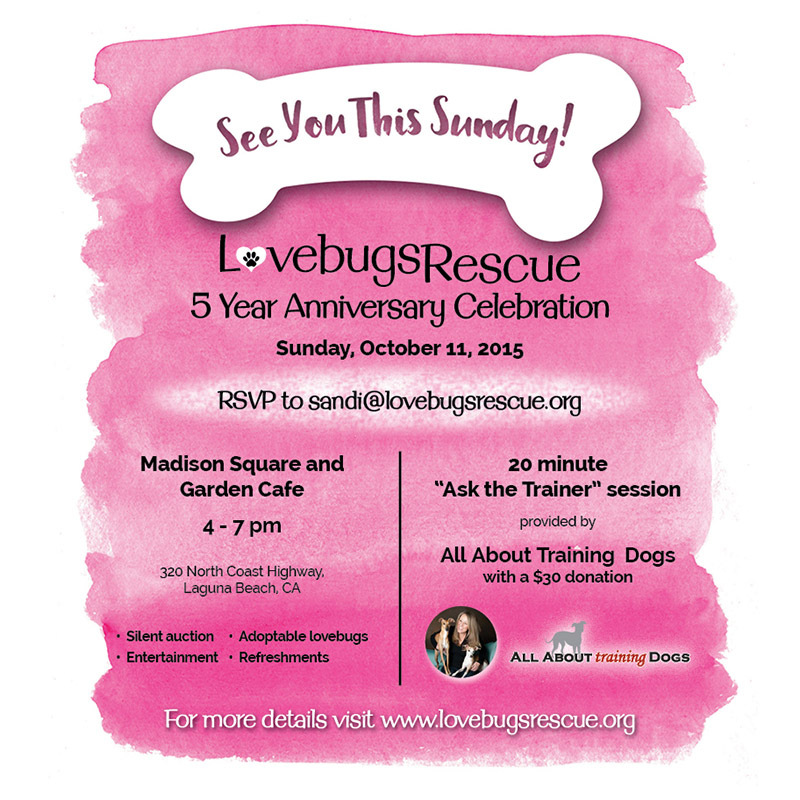 We will also have Lovebugs available for adoption. 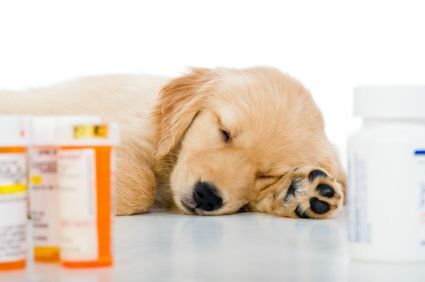 The holidays are one of the peak seasons for travel, and with a little planning; it can be the perfect time to take your furry family member with you. Whether you are off on a ski vacation, visiting family or perhaps enjoying a coastal road trip during the holidays, having your best friend along can make the trip more fun and enjoyable. 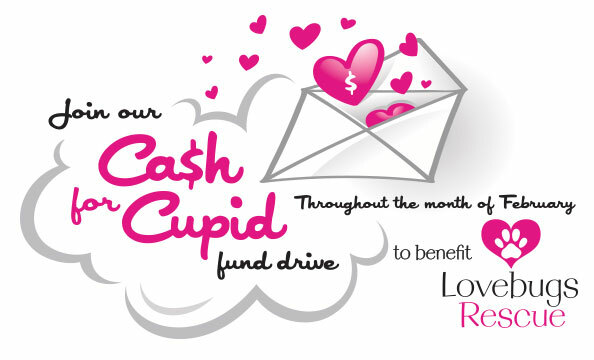 We can't do the work that we do without the generosity of our supporters. Together, we can make a difference. 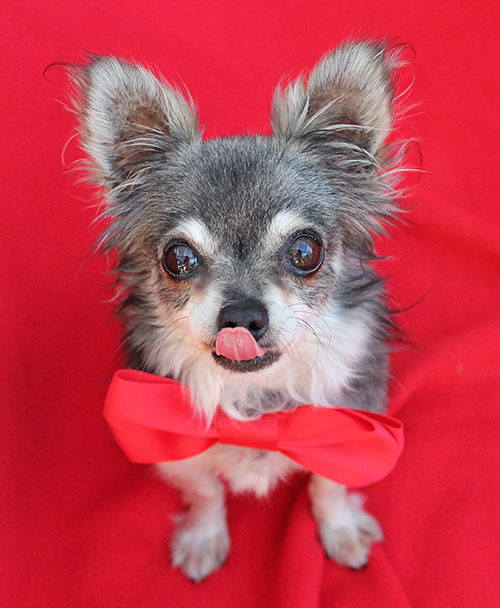 This season, fall for one of our many Lovebugs available for adoption.